Lakes End Marina on Lake Nantahala offers a wide variety of water sports equipment and water toys for rent. Water skiing typically begins with a deep water start, with the skier crouching down in the water. When the skier is ready, the driver accelerates the boat to pull the skier out of the water. In addition to the driver and the skier, a third person known as the spotter or the observer may be present. The spotter’s job is to watch the skier and inform the driver if the skier falls. The rider is usually towed behind a motorboat, typically at speeds of 18-23 mph. Using edging techniques, the rider can move outside of the wake or cut rapidly in toward the wake. Jumps are performed by riding towards and up the wake and launching into the air. Kneeboarding is an aquatic sport where the participant is towed on a buoyant, convex, and hydrodynamically shaped board at a plaining speed, most often behind a motorboat. 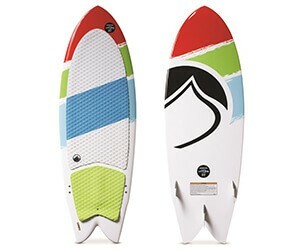 In the usual configuration of a tow-sport kneeboard, riders kneel on their heels on the board, and secure themselves to the deck with an adjustable Velcro strap over their thighs. 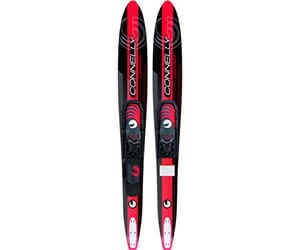 Most water ski kneeboards do not have fins to allow for easier surface spins. 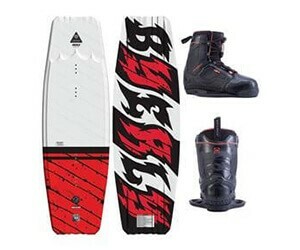 The advantages of kneeboarding versus other tow-sports seems to be an easier learning curve and a sense of being closer to the water when falls occur. Towed tubing usually takes place on a large body of water such as a lake or river. 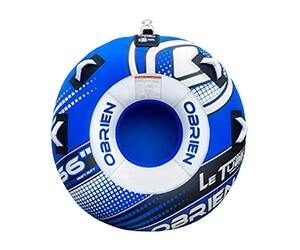 One or more tube riders (often called “tubers”) tether their tubes to a powered watercraft such as a motor boat or a personal watercraft. The riders are then towed through the water by the watercraft. Wakesurfing (similar to, but not the same sport as, wakeboarding) is a water sport in which a surfer trails behind a wakeboard boat, surfing the boat’s wake without being directly attached to the boat. The wake from the boat mimics the look and feel of an actual ocean wave.